We know colour is where it’s at this season. But let’s really roll up our sleeves and get into it, shall we? 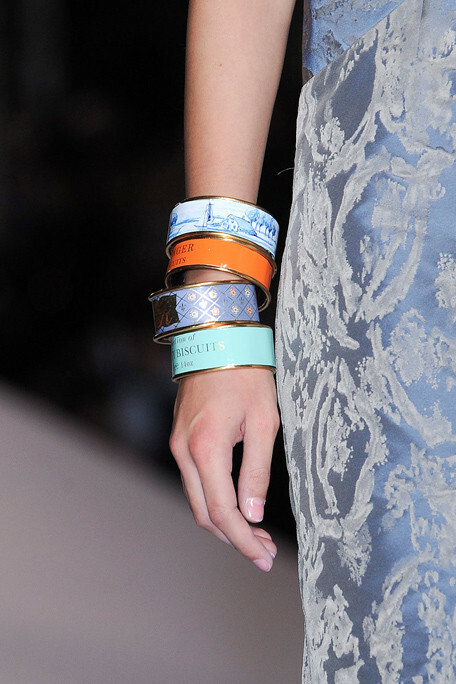 More than a few designers adorned arms with pastel-coloured plastics, pushing pink and periwinkle to the proverbial limit of our imaginations. Colour-filled lucite at Chanel SS11. 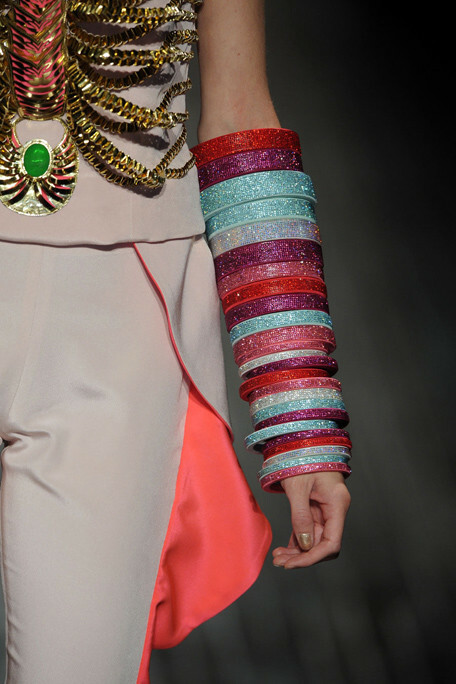 Bang on at Manish Arora. No, you are not having a deja vu - I did feature these in the Holi post the other week. Auntie Viv recycles a few tins for her Red Label SS11 collection. Eclectic and eco-chic.